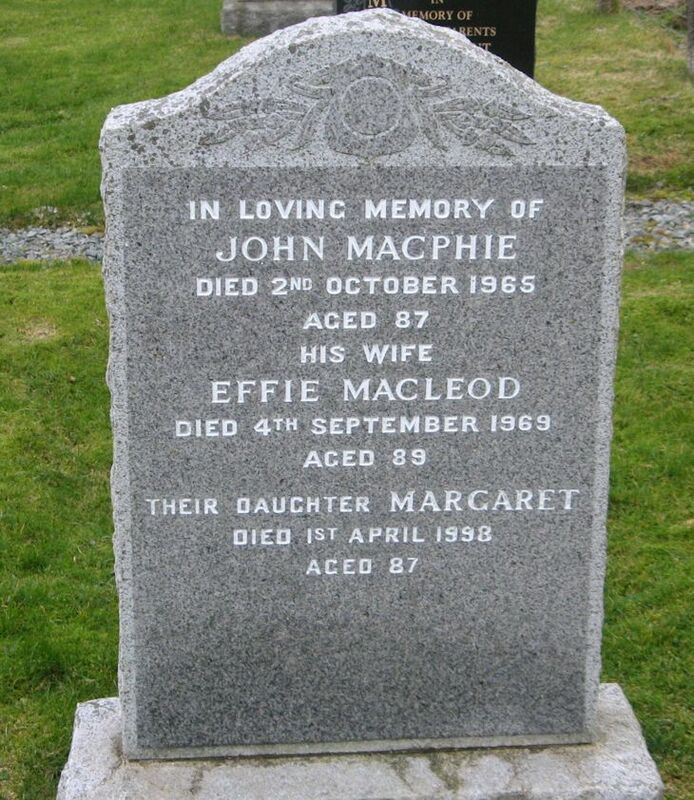 Skye Gravestones | John & Effie (Macleod) Macphie, d. Margaret. John & Effie (Macleod) Macphie, d. Margaret. In loving memory of/JOHN MACPHIE/died 2nd October 1965/aged 87/his wife/EFFIE MACLEOD/died 4th September 1969/aged 89/their daughter MARGARET/died 1st April 1999/aged 87. Picture Added on 21 January 2014.